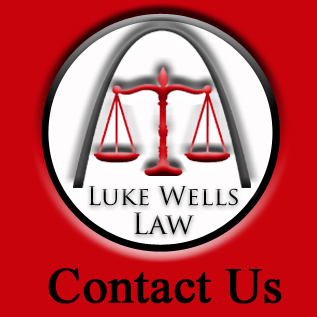 Luke Wells, Attorney at Law, represents people charged with felonies and misdemeanors, including state charges in St. Louis City, St. Louis County, and municipal violations. We commonly represent individuals charged with various offenses including: theft, burglary, illegal substance-related crimes, assaults, DWIs. We will take the necessary time to determine exactly what the client wants — whether total dismissal of the charges, probation, reduced charges, or something in-between. We are always willing to sit down with a new client at no charge, and evaluate the situation, and come up with a plan. We will then do the necessary work of conducting discovery, interviewing witnesses, and presenting all possible evidence to strengthen your case. If necessary, we will not hesitate to go to trial and prove your innocence. We believe that negotiations with the prosecutor’s office must be conducted from a position of strength. We will double check the state’s or municipality’s case by doing our own thorough investigation. If the case against you is not as solid as the prosecutor suggests, we will not hesitate to seek a revised plea offer, reduced charges, or outright dismissal of the case. If you seek immediate action from someone that will be your advocate, Contact Us today!